Oxford TEFL > Blog > Careers > What do experienced English language teachers see as their strengths and weaknesses? What do experienced English language teachers see as their strengths and weaknesses? 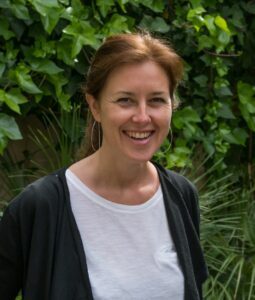 Nicola Meldrum is our Trinity DipTESOL Course Director and works very closely with our participants during both the online and face to face phase in Barcelona. She has designed our online Teaching Pronunciation course, organizes local teacher development events and speaks at international conferences. She has also written a wide range of articles and teaching materials. In this blog post she reflects on the first week of our Trinity DipTESOL course this October 2018. Our Trinity DipTESOL course has two main goals: to prepare teachers for the Trinity DipTESOL exams and to help teachers develop towards their full potential and in the areas they want to feel more confident and competent in. To help teachers get started on their developmental path, we ask them to reflect on their teaching. They look at the Trinity unit 4 teaching practice criteria for lesson delivery. This is a list of 20 areas of teaching and learning, including things like, creating a positive learning environment, conveying and checking meaning, integrating pronunciation work and giving clear instructions. In this task teachers both self-assess a lesson and generally reflect on their teaching using this list. They have to identify five strengths and five areas to develop. What do you think they said? Let’s find out. I’d like to start by saying many teachers said this was the first time they had reflected on their teaching in such depth. They also commented that having this list made them analyse areas of their teaching which they had not really thought about for some time. I think this outlines the importance of focused reflection to reboot our teaching, find things we feel good about and also make some specific goals for improvement. So, what were the top five strengths identified in the 42 teachers who started our course in October 2018? Nearly all teachers mentioned this, referring to things like building rapport, doing group formation activities, getting to know details about their learners, pushing and challenging learners, personalising learning and creating lessons that respond to their interests. Teachers said as their general confidence grew, they become better at monitoring. Also, they felt as their language awareness grew they felt more able to intervene and explain language, and correct it and they knew what they were looking for in a task. They also felt more confident to arrange their classrooms to facilitate closer monitoring. Teachers felt they were effective in creating lessons catering to their learners needs and wants. They gave examples such as including activities they know their learners respond well to, adapting lessons as they teach to meet learners’ needs and including lots of pair and group work. This is an area I feel they may usefully reflect on further as this area is often quite hard to pin down in ELT. What does learner centred really mean? I prompted many of them to do further reading and reflection on this such as this post from Scott Thornbury. Motivation and levels of interest do not really equate to being learner centred and it was interesting to see many teachers interpreting it as such. Many teachers felt this was something that had developed significantly. They mentioned using more ICQs and demonstrating tasks, as opposed to explaining. Teachers felt they were better able to use, select and adapt ELT materials to create relevant and effective lessons for their learners. They mentioned adapting course books and using IWBs and white board to support learning. Interestingly, they also spoke about using technology such as Wechat and Whatsapp, Facebook groups and other tools for in and out of class learning. And, what about the weaknesses? This is a key area teachers want to work on. They want to be able to respond to learners’ needs and also to plan better for pronunciation. I suggested they start reading blogs such as Teach Pronunciation’s, Adrian Underhill’s, and Mark Hancock’s blog. This is an area teachers are not clear on. What to correct, when and how? They all correct language but feel they are stabbing in a dark somewhat and want to correct language in a more informed way. I suggested they start building in feedback slots into lessons and to focus on the target language when they are wondering what to correct. I suggested they not leave correction to the end of the lesson but to give feedback earlier so teachers can act on the corrections. How we cater our lessons to different levels of learners with different approaches to learning was a common focus for development. Teachers want to be able to help all learners in the room. On the course we are going to look at this in more detail by learning how we can differentiate lessons efficiently, how to include work on learner training so learners can empower themselves to take control of their learning and not feel it’s the sole responsibility of the teacher and also to equip teachers with more knowledge about learning strategies so they can identify them in their learners and adapt their teaching to individuals better. Teachers feel that lessons often fail to stick to the planned timings and they plan too much. There was a common reference to “getting through” less that was planned for. They also felt that lessons could be smoother and more effective in how they transition. I suggested they start planning backwards from the end communicative task, whether that’s speaking or writing task. They can then select essential activities and input from the lesson materials more effectively. Also, the simple mantra or less is more, can be helpful. Stop trying to get through so much and focus more on what comes out of your learners to have more feedback time in lessons to really respond to their needs as they arise in a way that focuses on the lessons’ objectives. That means anticipating problems while planning and preparing for that. Many teachers admitted they don’t do this. We all agreed in forum discussions that reflection can boost professional development but there is also agreement that is can support language learning. I suggested that teachers start including more time in lessons for this. Not to overdo this as learners can become tired of always being asked, What did you learn today? We looked at different ways we can get learners to reflect including writing new words on post it notes, asking each other what activities they found most useful and why, what they still don’t feel comfortable with, asking learners to review and reflect at the end of each month- they can create posters, update their notebooks, test each other and so on. So, that’s what we identified. Now the teachers have 7 months of online learning to act on those areas and will be asked to try things out almost on a weekly basis to help them develop. They can also use reflections to choose topics for the action research they do for Unit 2 of the Diploma. Everyone agreed this was a great way to start the course and the act of reflecting boosted their motivation to make the most of the course. Have you been teaching for a minimum of 2 years? If you would like to develop your teaching skills and advance your career in ELT, the Trinity DipTESOL course could be for you. Contact us to find out more or apply here. Next course starts: January 7th 2019. This entry was posted in Careers, Diploma, Lesson planning, News, TEFL, TESOL by Fran Austin. Bookmark the permalink.